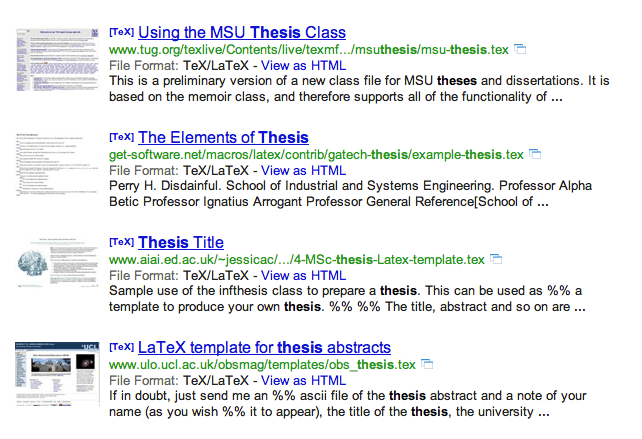 Google’s result page will show tex files only. See here for Google’s FAQ on filetype. As with a lot of what appears on this blog, I didn’t know that, and *really* should have. Thanks. Great, thanks for the feedback! Regards, Tom. Nice trick! Might just go for a surf. Tex’s up!